Deciding to wear contact lenses for the first time can be an intimidating choice. The Nuvo team is here to answer any questions you may have, and highlight the key points of the process so that you feel comfortable and confident in your decision. Contact lenses are amazing medical devices, and can easily fit into your lifestyle whether it be for full-time wear or task-specific use. Contact Lenses, whether corrective or cosmetic, are medical devices that can only be legally dispensed in Ontario by licensed medical professionals – like the team at the Nuvo Eye Centre. The reason for this legislation is the risk of harm involved with placing a foreign substance onto the eye’s surface, a risk that’s compounded when a visual prescription is also required. Through the Tailored to You: Fit System & After Care, the Doctors and Dispensers at Nuvo Eye Centre will remove the risk of injury to yourself or to others that comes from you wearing the wrong prescription; as well as, significantly reduce the health risks inherent with placing a small piece of plastic directly on the ocular surface. The contact lens fitting experience at Nuvo Eye Centre begins with an ocular assessment, health check, & consultation with one of our licensed Optometrists. Your eyes will be given a clean bill of health prior to ever wearing any lenses, & your specific needs and wants will be incorporated into the fitting experience. Our Doctors take into consideration a variety of factors including; your specific visual needs, your lifestyle, your intended use for the lenses, the specific materials and their interaction with you, as well as any of your allergies and sensitivities. At the end of this initial consultation, a Trial Contact Lens will be selected that best suits you. New to Contact Lens Wear? No worries! The next step in the Tailored to You: Fit System is a comprehensive education session with one of our experienced staff. You will learn everything you need to know about inserting, removing, and caring for your new lenses. Our knowledgeable team will take the time with you one-on-one to ensure you are comfortable and fully prepared to make the most of your new lenses before sending you out into the world to enjoy your new glasses-free vision. But not before scheduling a follow-up visit with your doctor. 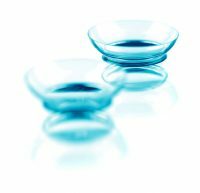 Contact Lenses are never a one-size-fits-all experience and a follow-up visit is a necessary component to assess the fit of your lenses and ensure a successful contact lens experience. At Nuvo Eye Centre we schedule you back in with our Optometrists to give them an opportunity to evaluate the fit, function, and comfort of your contact lenses prior to your order. At Nuvo, the care doesn’t stop after your initial fit and purchase of contact lenses. No, we stand behind all of our services and products and that means After Care. From Follow-up Visits to Warranties to Replenishments, the Tailored to Fit: Fit System & After Care is there to assist you with all your Contact Lens wearing needs. Contact lenses can change your way of life, and working with our eye care professionals will ensure that you have the best Contact Lens wearing Experience possible. And experience that is truly “Tailored to You”. The health advantages stem from the fact that there is no accumulation of everyday lens deposits. Your eyes benefit from a new and fresh pair of lenses every day without the need for any cleaning! Just throw them out at the end of the day! These lenses are ideal for everyday use, and for part-time wearers. For instance, you may find it more convenient to wear contact lenses when playing sports or when going to the movies (especially 3D movies). Most dailies are available in a wide range of prescriptions including for astigmatism and multifocal. It’s important to remember that your optometrist can determine the best fit and material for your personal needs. They’ll assess your requirements and prescribe the best option for you. Monthly lenses are good for up to 30 days and must be removed at nighttime. For these lenses to perform properly, it is important to follow a consistent, thorough cleaning regiment. Staying compliant with the regular shelf-life of each lens will keep your eyes healthy and vision clear. It’s important to comply and remove your lenses every night because the cornea/tissue of the eye needs oxygen. Without it, it will swell up, cause blurred vision and pain. Keeping your contacts in overnight will create a barrier and your eyes won’t get the oxygen necessary to stay healthy, and can result in inflammation, infection and abrasions.